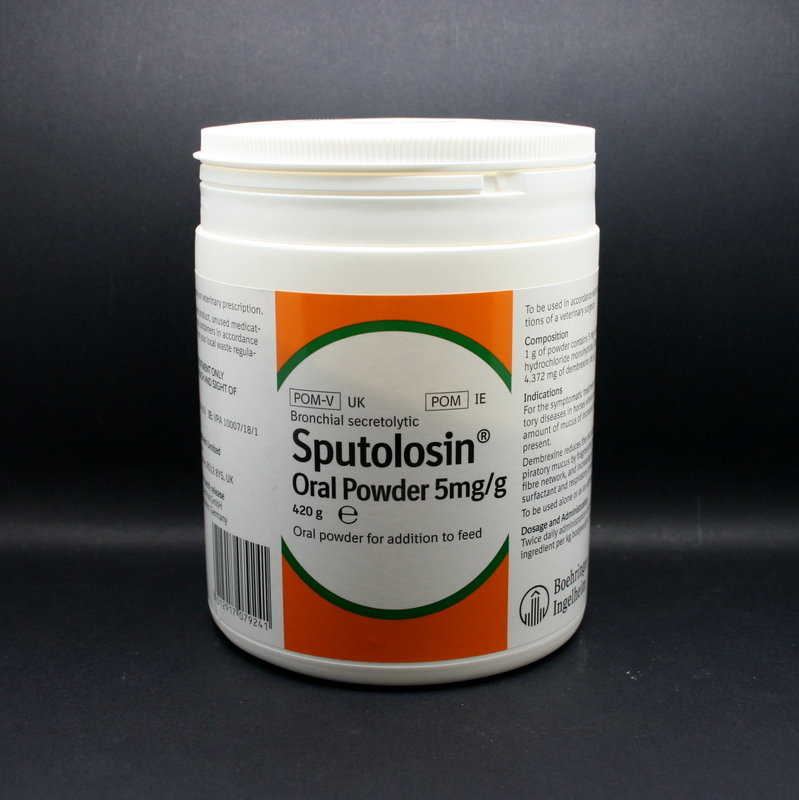 Sputolosin Powder is given in feed & is used to treat both upper & lower respiratory tract disease (acute, sub-acute or chronic) in horses. It relieves symptoms caused by an increased amount & thickness (viscosity) of mucus. Normally within five days of administering the product, an improvement is seen, but treatment should continue until complete remission (approximately 12-14 days). Sputolosin should be fed twice daily; for a 500kg horse, give 30g of powder per serve. Feeding at this rate, one tub will last a 500kg horse for 7 days. 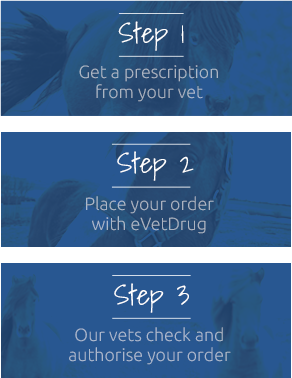 In cases where there is bacterial infection, or the horse is pyrexic (has a high temperature), consult with your vet, as additional medication may be neccesary. Warnings & Contraindication- Do not use in horses with a known hypersensitivity to Dembrexine. When administering this product, take care to avoid skin contact, eye contact & inhalation. Pregnancy & Lactation- Consult with your vet, but no adverse reactions reported when used during pregnancy.